Making a note of agendas is the best way to plan something as during each step of the plan, you will have the final goal in your mind. Agendas can be useful to list all the items that are crucial for a meeting. Agenda Templates can help you in listing all the important agendas for various types of meetings. To benefit from these templates, check out the different types of word agenda templates that we have listed below. This word agenda template will be useful in preparing for a meeting. You need to set up a time and place, give roles to members and decide the objectives for the meeting. 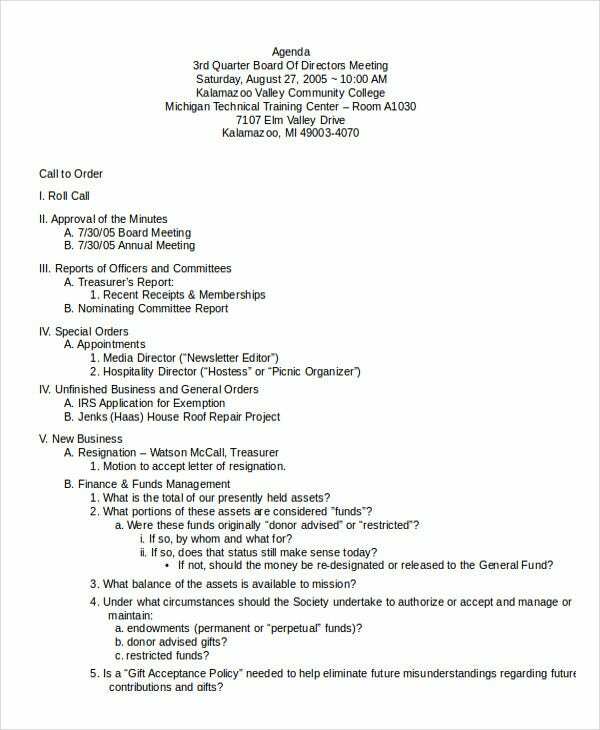 This is a very useful word agenda template that will help in taking notes of various details that are required to set up a meeting between the members of the board of a company. > How to use the Word Agenda Templates? Word agenda templates are both, a set of guidelines as well as blank templates where you have to fill specific information. The content of the templates are the lines along which you have to do the planning of the meeting. Firstly you have to fill the date and place of the meeting; therefore, you have to decide on these two things first. Then you have to list the people who are to be present at the meeting and give each person a specific role. After this, you have to write in detail the topics that are to be discussed in the meetings. You can also see Agenda Planner Templates. 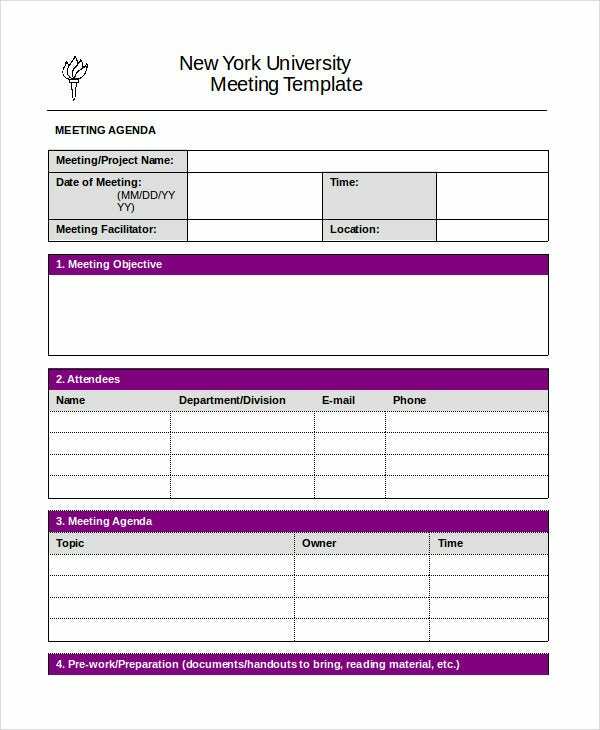 This is a Word agenda template that can be of help for drawing agendas for a meeting to take place that involves the members of the staff of an organisation. This is a very generic Word agenda template that can be used for a variety of business meetings. Various details regarding the purpose of the meeting have to be written on it. 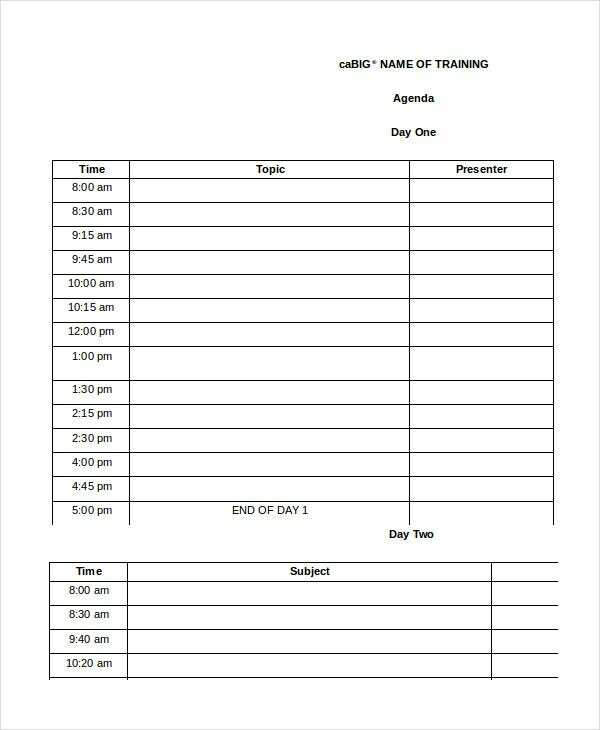 This Word agenda template will be useful for places where a meeting has to take place with the trainees of an organisation, where the trainees have to make presentations on various topics. > Who can use the Word Agenda Templates? 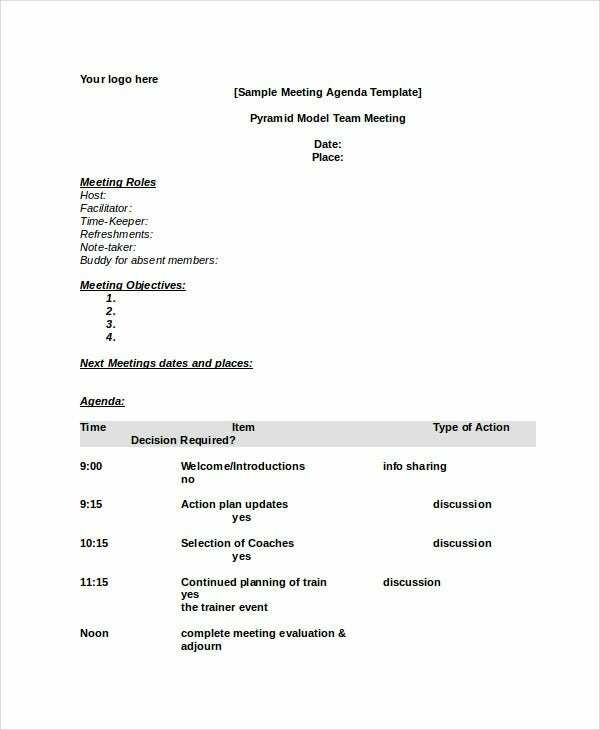 These Word agenda templates can be used by anyone who needs to call a meeting or organise one. Most of the templates will be helpful for those who have been given the responsibility of setting up a meeting. 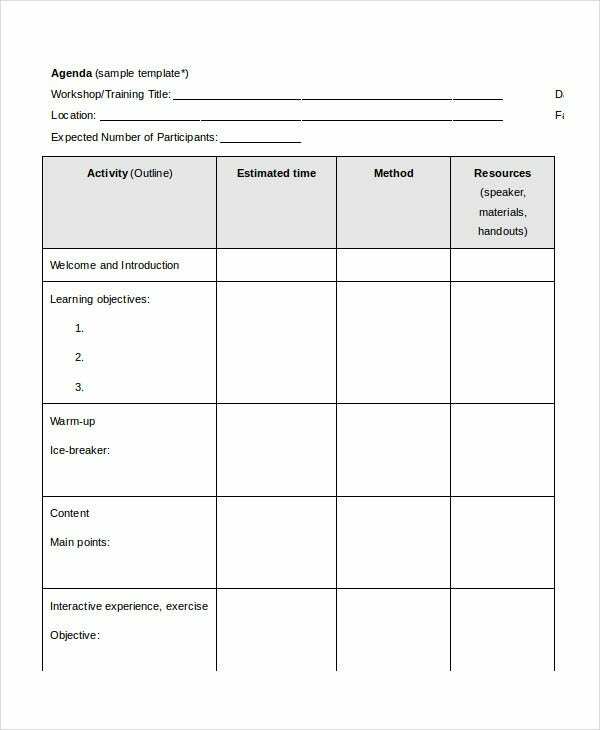 By making use of these templates, they can have knowledge of all the necessities required for setting up different types of meetings. Board agenda templates can be useful for secretaries of presidents or the director of the company who is assigned the task of organising such meetings. 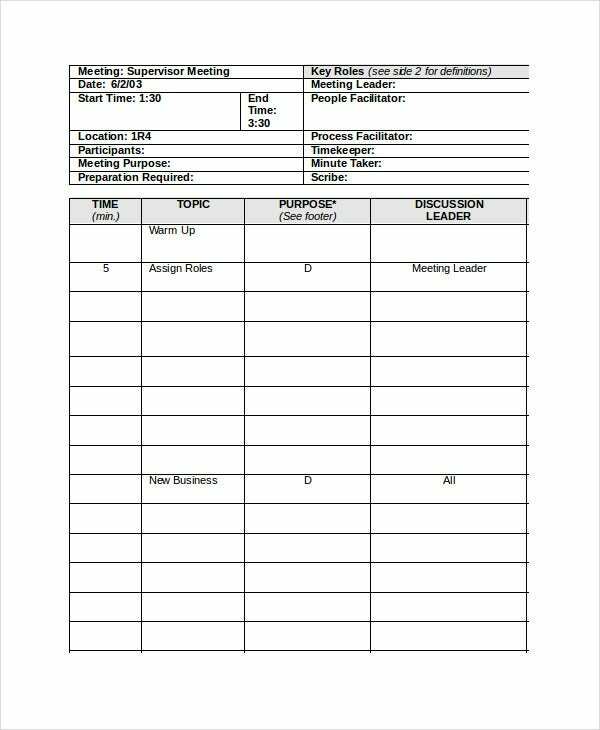 Staff meeting agenda templates can be used by managers at various levels of the company. You can also see Calendar Agenda Templates. > What are the benefits of using the Word Agenda Templates? Various benefits are provided by the use of the Word agenda templates. These templates are useful guides in organising meetings. Agenda templates provide you with a list of all the things you have to consider when you set up a meeting. These lists are very important as each point is very pivotal to the meeting and skipping any can have great negative effects on the meeting. Use of agenda templates makes sure that you do not commit such mistakes. 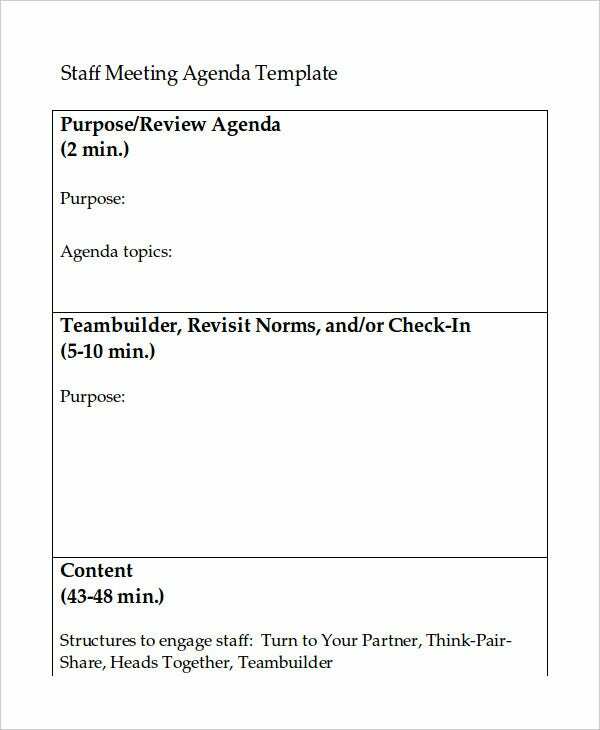 These templates also save a lot of time which you would have to otherwise spend in drawing up agendas for the meeting. You can also see Student Agenda Templates. Schedule templates are one of the most useful tools that you can use in your day to day life. Word agenda templates have many benefits and are sure to help you in your business. Different templates find use in different occasions and hence it is important that you choose the ones that are best fit for your situation.